When we look for a natural remedy to treat some diseases, we are often looking for products with exotic and high-sounding names, coming from the other end of the world. Instead we tend to snub the most common plants that grow wild and lush in our territory, neglecting the fact that for centuries these herbs have been the cornerstone of Italian folk medicine. The underlying problem is that we have forgotten our traditions. In the last century, convinced that they had found in the drug the panacea of ​​all ills, men, from the height of their pride, decided to throw to the nettles much of the ancient knowledge of folk medicine. 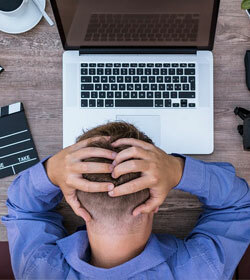 Today, aware that the abuse of drugs brings with it numerous contraindications, there are more and more people who are looking for a solution to their ills in medicinal herbs. Happy with this return to trend, my aim is precisely to re-experience, one by one, the ancient herbal remedies of our ancestors. Among the many, a place of some importance undoubtedly deserves the Mint, an aromatic plant that, as you will discover, is not only used to perfume the breath and to flavor the Mojito! With the name " Mint " are known over 600 species of plants , all part of the large family of Labiata, genus that includes many other aromatic such as thyme, sage, lavender, etc. The reason why there are so many varieties of mint is that the plant tends to cross spontaneously, giving rise gradually to new types of mint. The most requested and most cultivated variety in the world is undoubtedly Peppermint, used above all for the production of its precious essential oil. In any case, all Mints are good and have roughly similar properties . So that it is glacial mint, Roman mint, or peppermint, my dispassionate advice is to always keep a mint plant grown in pots, or in the garden. Or you can always stock the herbal tea (dried plant) and essential oil. Taken as an herbal tea, or by making good use of its essential oil, Mint can be useful for coping with a great deal of problems related to our health. Let's start by saying that mint and flowery buds are used, of which the following constituents are known: resins, tannins, flavonoids, bitter substances and essential oils (from 30% to 90% of menthol, terpenes and mentofuran). The tea is obtained by soaking for 10 minutes a teaspoon of mint leaves (fresh, or dried) in a cup of boiling water. Mint is often mixed with green tea (Moroccan tea), a tea variety that is very popular in Africa and the Arab countries, where high temperatures require a way to cool off. In this regard it is useless to say that it is the remedy par excellence and also its essential oil, as we shall see, is often used to induce fresh sensations. 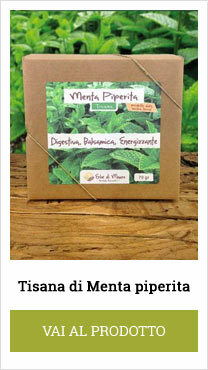 The essential oil is obtained from the mint leaves by extraction in a stream of water vapor. Among the many varieties of mint, the most common essential oil is that of peppermint, whose yield is about 2% (2kg of essential oil, every 100 kg of mint). Mint is an excellent digestive! To facilitate digestion you can eat fresh mint leaves, for example in salads, or you can drink a hot herbal tea immediately after meals, or you can take the essential oil of mint (never pure, but adding 1 or 2 drops to a teaspoon of honey, or vegetable oil). Mint also has carminative properties, ie it facilitates the elimination of stomach and intestinal gases and prevents its formation. In addition, mint has antispasmodic properties, so the warm herbal tea, or essential oil (always diluted with a teaspoon of honey, or vegetable oil), are very useful for relieving stomach pains and colitis. It also has antiseptic properties, useful in case of intestinal infections and diarrhea. It is no coincidence that mint falls rightfully in our "After Meal herbal tea" blend, along with laurel, fennel seeds, sage and chamomile. Mint is a fantastic natural remedy to keep active and lucid. Its fragrance has the ability to stimulate the nervous system, improving concentration. To fully enjoy the tonic and stimulating properties of mint try drinking herbal tea. The best time is in the morning, or the first afternoon. I advise you not to drink the mint tea too concentrated in the late afternoon, or in the evening, because it may prevent you from sleeping. At low concentrations, on the other hand, mint does not give problems, on the contrary it has an almost relaxing effect. You can take advantage of the stimulating action of mint even through the sense of smell. You just need to smell the intense scent from the fresh plant. Or, in the absence of the plant, you can always make use of its essential oil. Wet inhalations: in this case it is necessary to vaporize the essential oil in the room through the water vapor. You can do it through a special diffuser (better electric and possibly ultrasonic), or by adding a few drops directly into the water pan attached to the radiator. Dry inhalations: in this case it is a matter of impregnating a handkerchief with 2-3 drops of essential mint oil and breathing it from time to time during the day. But be careful not to keep it too close to the nose, because being very powerful, it can irritate the mucous membranes. In the same way it must stay far from the eyes! Mint is one of the best natural remedies to treat headaches. To do this it is useful to drink hot herbal tea, but the remedy par excellence is undoubtedly the Mint essential oil. In this case, 1 or 2 drops of mint essential oil are diluted in a teaspoon of vegetable oil (olive oil, sunflower, almond or other oil ..) and spread in the forehead until completely absorbed. The painkilling effect is assured! 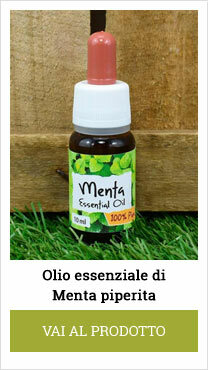 The Mint essential oil, applied to the skin, exerts a sort of anesthetizing action. This is due to the sensation of cold due to the action that the menthol plays on the thermal cutaneous nerves, which in fact reduces sensory nerve sensitivity, thus obtaining a reduction in pain. This action is perfect as an emergency remedy for severe pain caused by trauma (eg bruises, sprains, etc. ), rheumatism, gout attacks, but also in case of back pain, sciatica, pain in the knees and in general for all the pains in the muscles and joints. Since mint essential oil can be irritating to the skin, it should always be diluted in creams or vegetable oils (max 2-3 drops of essential oil in a teaspoon of vegetable oil). Moreover, its abuse can lead to strong sensations of cold that can lead to hypothermia, so it should be used occasionally and only on small surfaces. Mint, thanks to its choleretic and cholagogue properties , also acts on the liver, increasing the production and secretion of bile, which in fact also improves the digestion of food and in particular of fats, thus also improving intestinal regularity. In addition, the essential oil contained in mint is an excellent hepatopoeia, is able to protect the integrity of the plasma membrane of liver cells, improving the repairing and regenerative capacity of the liver. So if you suffer from liver problems, the mint eaten raw, or used to prepare infusions, can be a valuable ally, especially when combined with other plants with depurative action such as nettle, dandelion, milk thistle, turmeric, etc. Mint has emmenagogic properties, that is, it is able to stimulate the blood supply in the pelvic area and in the uterus, thus favoring the appearance of menstruation. 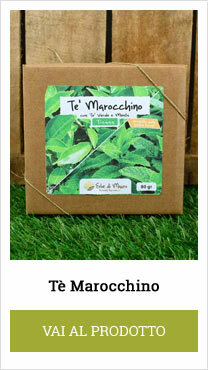 Moreover, thanks to its antispasmodic properties, it also has the ability to reduce the pains caused by menstruation. For this reason it is an excellent remedy for all those women with scarce or absent menses (amenorrhea), as well as in case of painful menstruation. For these situations mint combines perfectly, like herbal tea, with other plants with similar action, such as chamomile and sage (this also has the ability to regulate hormonal activity). Mint also has good antiseptic and expectorant properties, useful in inflammation of the bronchial mucosa (bronchitis) and in case of a cold, cough and whooping cough. Also in this case it is possible to use the infusion inside and the essential oil with mint to make some fumigations. To make a fumigation to the essential oils it is necessary to boil about a liter of water. Then the flame is lowered and 3 to 6 drops of essential oil are added. Let it rest for five minutes, covered, out of the fire. Then remove the cover. You lean over and cautiously breathe the steam coming out of the pot to make sure it is not too hot. If the temperature is adequate, you should place a towel or a towel over the head so that it also wraps the pot. Then you start to breathe deeply through your nose, in case of a cold or sinusitis, or through your mouth if you cough. To make the suffixes it is recommended to combine it with other essential oils with an antiseptic, balsamic and expectorant action, such as tea tree oil , the Elucalyptus essential oil , pine and rosemary. 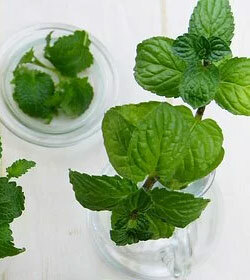 The aroma of mint, besides being very good, is also an excellent repellent for flies and mosquitoes. In this regard, it can be used as dried grass, resting or hanging bunches here and there for the house, or you can use the essential oil , which will be vaporized in the air through the electric diffuser, or applying it to the speaker. If you use the electric diffuser, 5-6 drops of essential oil can be enough for a full glass of water. The repellent power increases by combining the essential oil of mint, with the essences of geranium and lemongrass. What time I was stung by any type of insect (including mosquitoes), you can soothe the pain by rubbing the affected area with a leaf of mint, or applying a drop of essential oil . In the latter case I suggest you dilute the essential oil with a teaspoon of vegetable oil, as the essential oil with mint is irritating to the skin. The scent of mint has aphrodisiac properties and drinking mint tea increases sexual desire. The Arabs have always been a great connoisseur of this quality, who for generations and generations of mint have made a real cult. From the miserable casbe, to the phantasmagorical buildings encrusted with mosaics, you can not breathe the subtle and inebriating perfume of this magical herb. In addition, there is no shortage of days when the Arabs do not use mint-flavored tea ( Moroccan tea ). Already in the Middle Ages, the Salernitan School recognized the vermifuge properties of mint; just as Mattioli, who claimed "has a bit of bitterness in it with which he kills vermines". In order to eliminate intestinal worms, it is interesting to combine it with other similar plants, such as artemisia annua, garlic, cinnamon, onion, tarragon, lemon, savory, thyme and many others. Alternatively you can also take the essential oil in the interior adding 1-2 drops on a teaspoon of honey to be taken one to three times a day for a maximum of 3 weeks. (not recommended in children). I inserted it last, but it is undoubtedly the property that most distinguishes the mint from other herbs. There is nothing better than a good mint tea to cool off during the muggy August days. Even more powerful is the essential oil. Enough 1, or a maximum of 2 drops behind your neck to induce a sensation of incredible freshness, capable of making even the most humorous day cool! Like almost all plants, even mint has contraindications. A too concentrated infusion, taken in the evening or late in the afternoon, can prevent sleep . In children the mint tea can bring nervousness and agitation. Mint in any form is not recommended for lactating women as it is an anti-hay, which stops the production of breast milk. Both for internal use and for external use it is absolutely forbidden to pregnant and lactating women. It is also contraindicated to children under 7 years. The essential oil of mint is extremely irritating, so it must never come into contact with the eyes. In the most sensitive subjects and in the elderly, the external use of mint essential oil can cause cold sensation and in case of prolonged use, can lead to hypothermia. Used pure on the skin can irritate it, so it is advisable to dilute it with vegetable oils, or with creams. It should not be used concurrently with homeopathic treatments , or should be used at least 3 hours away, as it prevents assimilation. Finally it is contraindicated to people suffering from epilepsy.